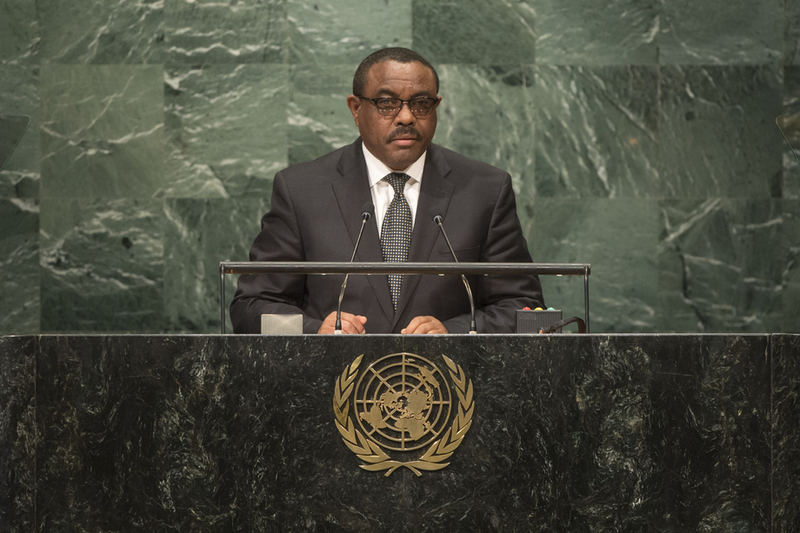 HAILEMARIAM DESALEGN, Prime Minister of Ethiopia, said that the world had not yet emerged from its “crisis mood” and increasing inequality was creating frustration, paving the way for a resurgence of populism. Social media offered a platform to enhance popular participation, but misinformation could go viral and mislead, especially the youth. It had empowered extremists to exploit genuine concerns and spread messages of hate. While countries must “own their problems” rather than externalizing the sources of setbacks, it was still important to emphasize that some countries had been targets for destabilization activities by people and groups given shelter by States with whom Ethiopia had no problems. He went on to say that his country was trying to escape from “the poverty trap” towards the path of sustainable growth and needed the policy space to make mistakes and learn from them. Current challenges also needed a collective, coordinated response in partnership with others in the region and beyond. Peace and security in the Horn of Africa was critical, and his country had been making efforts to assist South Sudan in resolving its internal problems. The events in July had been a serious setback in the implementation of the peace agreement that South Sudanese parties had signed under the auspices of Intergovernmental Authority for Development (IGAD) Plus. Those in the IGAD region had met and made a concrete proposal, subsequently supported by the African Union and the United Nations. He expressed hope that the South Sudanese parties would heed such calls and restore peace for the sake of those who had suffered and for the region’s stability. Ethiopia had also been making efforts to fight terrorism and pacify Somalia, he continued. Despite challenges, that country had come a long way. The recent IGAD Extraordinary Summit in Mogadishu was symbolically significant. He expressed hope that smooth elections in coming months would consolidate the gains made and lay the foundation for a peaceful and stable Somalia. Finally, Ethiopia was honoured, he said, to be elected as a non-permanent member of the Security Council for 2017-2018, and expressed appreciation to Member States for their support and confidence.